Shelly Dunn was raised in Oklahoma where she attended the University of Oklahoma (go Sooners!.) She learned that you could volunteer at the college radio station and instead of money, they would pay in concert tickets…sometimes. Being the music/concert lover she was, Shelly volunteered. Soon, she was able to parlay that into a job at a ‘real’ radio station in Oklahoma City. That station was Rock 100 The KATT. Shelly has had the pleasure of being part of a long time morning show in San Diego, Dave, Shelly and Chainsaw. 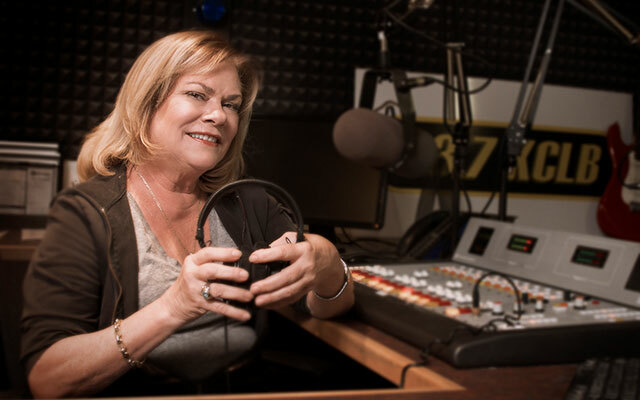 Now, through the magic of radio, she is thrilled to be working along side TK again, at KCLB. Shelly enjoys cooking, gardening, keeping bees and her chickens and of course, there is always a pup or two. The newest member of the household is Mila, a pretty pittie who was rescued from Tijuana. Shelly lives with her boyfriend, the retired Navy Commander Dean. He loves to play golf while she pursues her hobbies. Listen to Shelly weekdays between 11 and 3….be ready to rock when you tune in!